We’re celebrating another great milestone for Cygnus, after approval was granted for use in Singapore! Singapore is a fast-developing country which is fuelled by a passion for creating new possibilities and is much more than the sum of its abundant attractions. The Singaporean economy is known as one of the freest, most innovative, most competitive, most dynamic and most business-friendly. It is a leader in several economic sectors and is renowned for Singapore Airlines and its Changi Airport as well as Port of Singapore. Along with the advancements of the manufacturing and technologies industries, construction in Singapore is state-of-the-art and innovative with some of the world’s most iconic buildings and architecture such as Marina Bay Sands towers and the Esplanade – Theatres on the Bay. 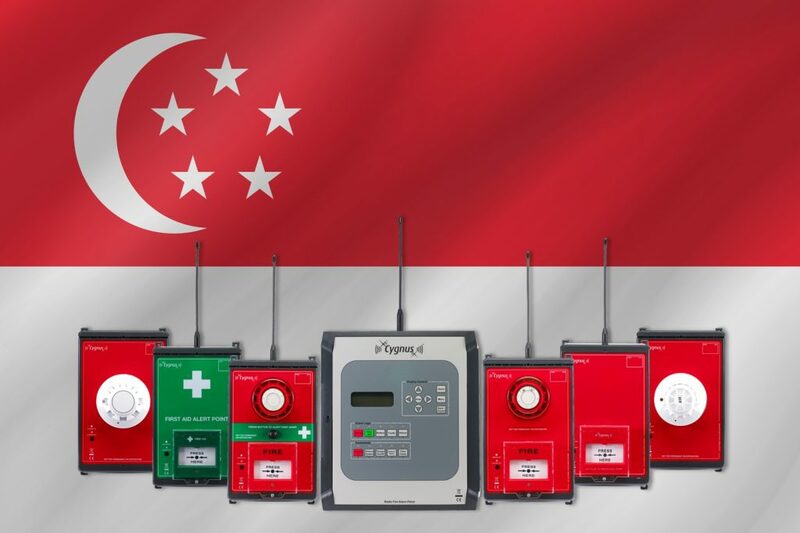 In partnership with Active Fire, we’re delighted to introduce Cygnus to the Construction industry in Singapore; inevitably protecting lives and property during exciting future construction projects.